Blink-182 are back together, the reunion confirmed after the Grammys. The reunion of Blink-182 for 2009 was broke by David Kennedy earlier this weekend with word of a new album for 2009. In case you missed the first story about this on LALATE earlier this weekend, here again is the recap. Thursday night, David Kennedy told fans that even as A&A is about to put out a new album for 2009, so too is Blink-182 to everyone’s surprise. “I’m trying to write a statement about how Angels is all good while Blink is coming back”. 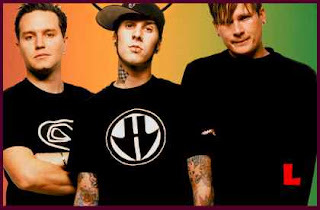 And just to make sure it was super clear, another fan said, hey is Blink-182 reuniting? 2009 is going to be a great year!